Home STEM Honey, you better check where that jar came from! Honey, you better check where that jar came from! Dozens of shiny, golden jars line the grocery store shelves. Perfectly packaged, they appear pristine. But have you ever wondered how safe your honey is? When you go to the grocery store, the milk that you buy on the shelf is always pasteurized. The milk is boiled to eliminate any dangerous bacteria, allowing it to be consumed safely. Unfortunately, there are no disinfection processes for honey. It may be cleaned for dirt or excess wax, but any illness-causing bacteria are never targeted. More than a hundred million pounds of honey are produced in the United States every year, and millions of citizens incorporate it into their diet as a topping or sweetener⎯⎯ nevertheless, most remain unaware of the potential dangers. Honey is considered one of the best preservatives because it is a long-lasting natural sweetener that never rots or goes stale. However, the use of pesticides has altered its properties. Neonicotinoid pesticides have been detected in honey from every continent containing honey bees. Globally, almost half of honey samples had one type of pesticide, and 86% of honey samples in North America had at least one of the five common neonicotinoids. The levels of pesticides found were unsafe for human consumption. These chemicals are intended to prevent pests from eating the plants, fruits, or vegetables, but end up in the honey after being transported by honey bees. Bees create honey by flying from plant to plant, gathering the nectar, then bringing it back to their colony, depositing it into honeycombs where it slowly evaporates and becomes beeswax. However, if the nectar contains pesticides, it will also contaminate the honey. Impurities are not the only negative consequences associated with pesticides. Every year, there has been a decline in bees, largely due to the use of chemicals on crops. According to a survey published by the U.S. National Library of Medicine, there were 5.9 million honey-producing hives in 1947, but only 2.44 million honey-producing hives in the United States by February 2008. Over the last 60 years, the amount of honey-producing hives has been cut in half due to the use of pesticides. 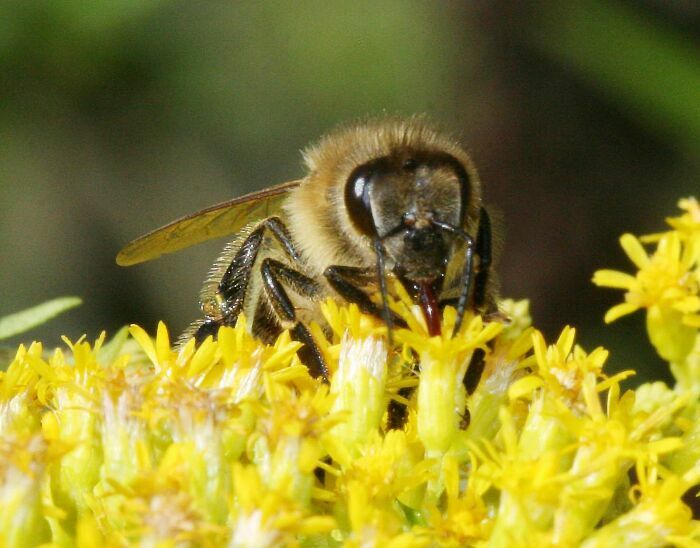 Honey bees are incredibly beneficial to agriculture. They help keep plants alive and healthy while promoting growth. In addition to these advantages, they produce a sweet treat for others to enjoy. As their population decreases, both the ecosystem and the economy suffer. Beekeepers may also be contributing to this widespread problem. Every time they gather honey from the bees, many beekeepers spray some type of smoke or chemical to weaken the bees and steal their honey. In addition to the toxic spray, antibiotics are usually used on the bees to prevent them from dying. The antibiotics may leach onto the honey, contaminating it even further. Some beekeepers try to limit their use of chemicals and antibiotics, but this approach does not solve the underlying problem of pesticides on plants that leads to unsafe honey. The next time you see honey in the store, you might want to stay away. The honey may be contaminated with pesticides that you may never have even heard of. These pesticides are able to kill insects, and possibly you!